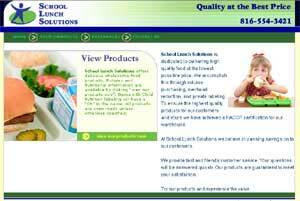 We have just launched a new web site for Missouri based School Lunch Solutions. They provide wholesome foods for schools and wanted a web site which would allow school food purchasers to easily view their products with nutritional information. ← Decorate yourself for St David’s Day!